There were many vendors as usual and even some new ones but I had done my research and knew what products I wanted to try from which vendors. I had a limited budget to work with so I needed to prioritize my purchases. 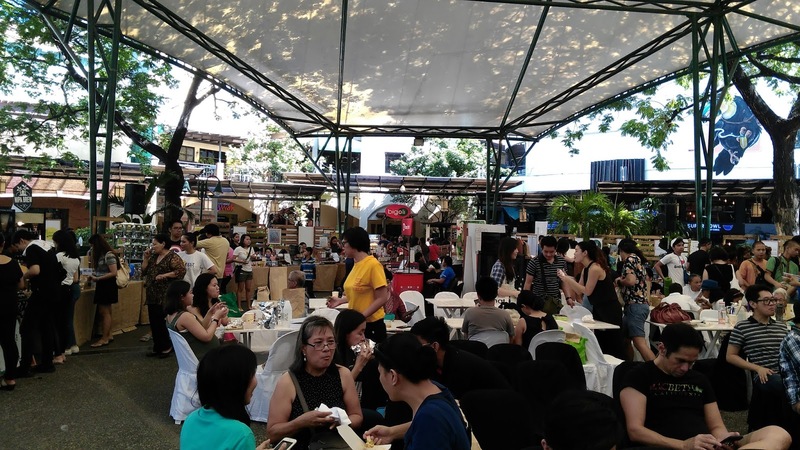 Luckily, vendors were selling at discounted prices just for the VegFest plus you get an additional discount if you bring your own ecobag or food containers. This is inline with the theme of living a vegan, zero waste lifestyle. In terms of food alone, there were so many options but I wanted to try non-food products too. So here are my choices. 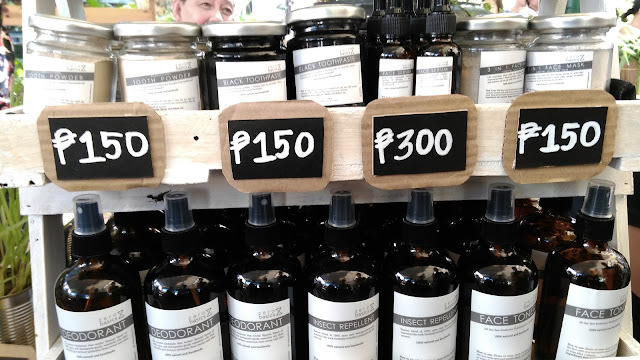 Zero Basics makes personal care products using only natural ingredients. I appreciate the chemical-free products and really wanted to try some of them. I browsed their product list and came out with my top 3 items to try: deodorant, tooth powder and toothpaste. Zero Basics products at discounted prices. 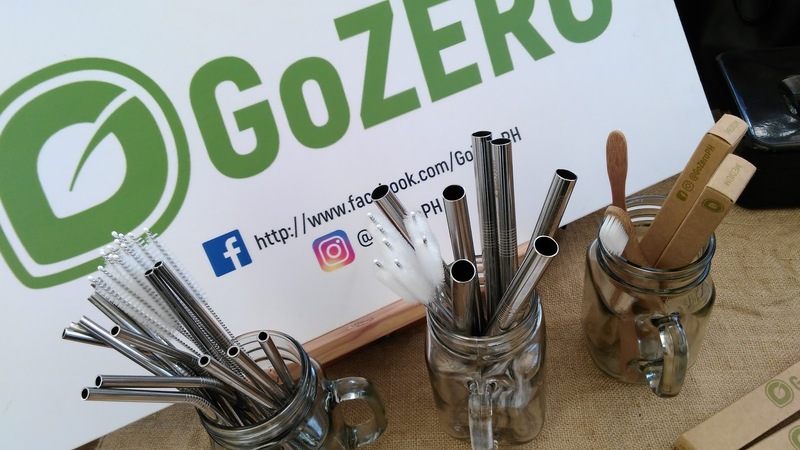 Their reusable, metal straws are receiving rave reviews online so I really wanted to get them for my own personal use. The good thing about their straws is that each one comes with a cleaning brush suitable to the straw's length and size. Cleaning straws is definitely a headache so this concept is much appreciated by fans of their products. Go Zero's regular-sized straw, regular-sized straw with bent head, straw for your milk tea and toothbrush. I wasn't planning on buying their mayo. I wanted to buy their cheese but when I tasted their mayonnaise, I was addicted. I didn't just buy the original variant I also bought the chipotle flavored one. They're both mayo but they taste so different from each other. They're sure to taste great as dip for your fries or as sandwich fillings. 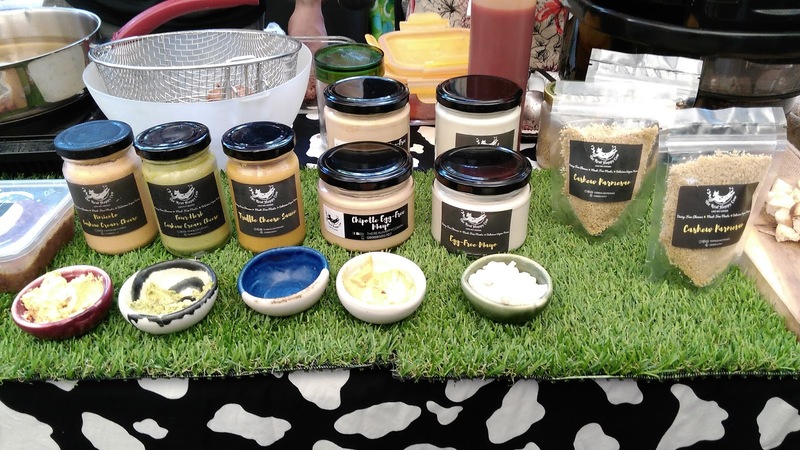 Delicious products from The Real Happy Cow. I have been craving hotdogs for a while and I found Little Noms selling vegan hotdogs online. I got myself a package of their vegan hotdogs as soon as I found their booth. 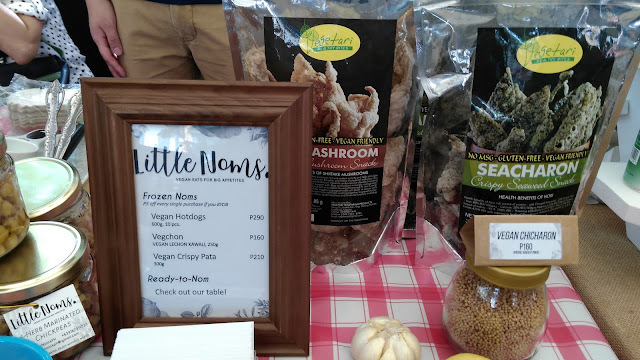 They also sell vegan snacks which I would have wanted to buy as well but my budget was limited. I will list them for next time. Little Noms frozen products and snacks. 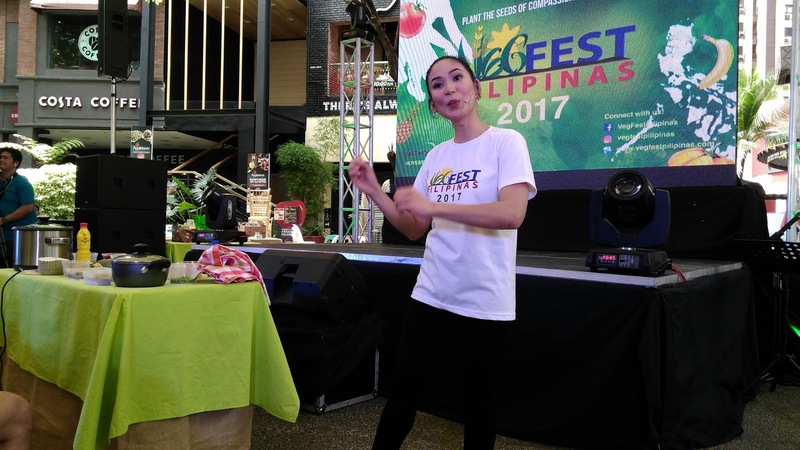 One of the parts of the day's program I was looking forward to was the cooking demonstration by Astig Vegan. She came all the way from San Francisco to show us how easy it is to cook without meat using local ingredients. 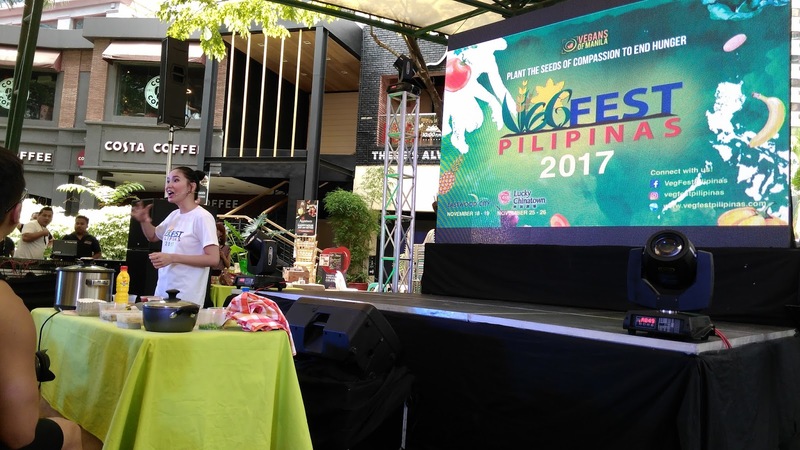 Although she lives in San Francisco, she recreates Filipino food using vegan ingredients available in her area. She has so many fans of her YouTube channel and I'm one of them. She really is Astig and cute! 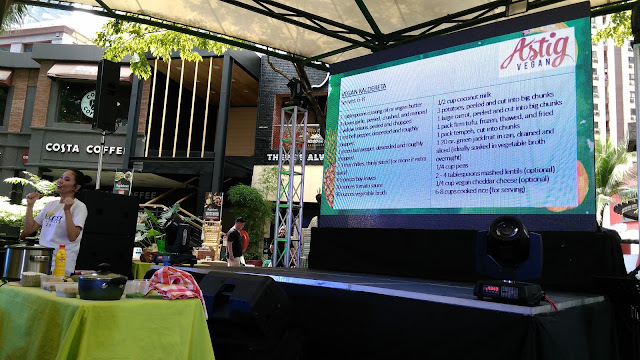 Her dish for the demo is Kaldereta without the meat. Instead she used tofu, tempeh and ripe jackfruit or langka. I have heard of using jackfruit in vegan versions of dishes like pulled pork or philly cheesesteaks but I never thought of using it for Kaldereta. After the demo, we had a taste of the Kaldereta and it was really delicious. The langka gave it a rich texture as well. You will not miss the absence of meat. It was so delicious I forgot to take a picture after the first bite. Hopefully, I will be able to recreate this for Christmas dinner. Got a pic with my vegan, cooking idol AstigVegan. 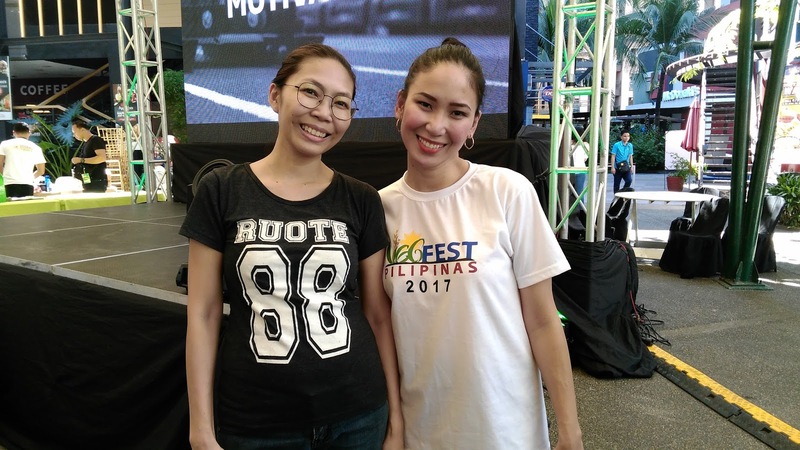 After the cooking demo, we had to fall in line for a picture with her. I seldom ask for a picture with person's I admire but I overcame my shyness and got one with her. This was a memorable experience for me and the taste of that Kaldereta is unforgettable. I will be reviewing the things I bought and will post my results on the blog soon. 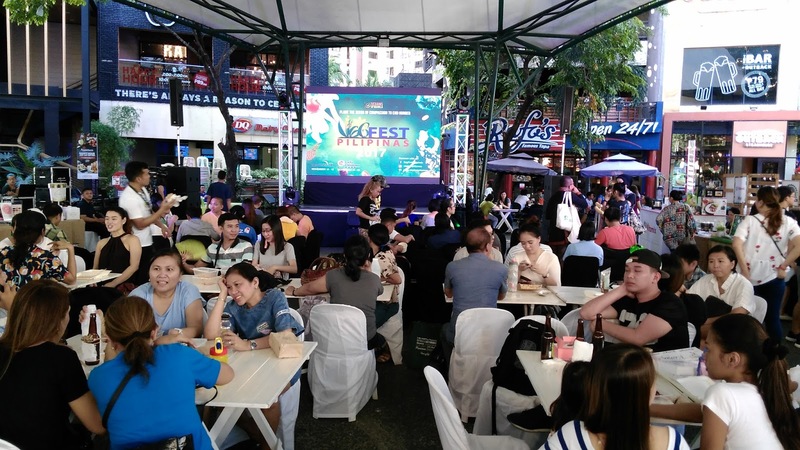 If you want to get your vegan products, the VegFest will be held at The Lucky Chinatown Mall on November 25-26. Aside from the vegan vendors, there will also be a program where resource persons will give their insights and knowledge on different aspects of living a healthy, vegan lifestyle.